Dry eye occurs when eyes do not produce the right quantity or quality of tears. Women are more frequently affected than men, and it is often caused by hormonal changes due to aging and menopause or medical conditions. Dry Eye is among the least understood eye conditions that affect large numbers of people. Many people mistake the dry eye symptoms for allergies, climatic conditions or just “eyestrain”. While all of these may aggravate Dry Eye symptoms, they are not the cause. Your eyes need a constant layer of tears – called the “tear film”- to maintain and protect the ocular surface. In Dry Eye, underlying changes to the health of the tear-producing glands can result in a change in the quantity and quality of the tears you make. This results in a tear film that can no longer provide enough nourishment or protection to the surface of your eye. This can lead to damage of your eye’s surface, which, in turn, can lead to the symptoms of Dry Eye. Signs and symptoms of dry eyes may include: Stinging, burning, scratchy sensation, sensitivity to light, tearing, tired eyes, and difficulty wearing contact lenses, as well as Blurred vision, often worsening at the end of the day or after visually focusing for a prolonged period on a nearby task. When the production of natural, healthy tears is reduced, Dry Eye can cause serious irritation to the front of the eye, particularly the cornea. A natural, healthy tear film not only lubricates the surface of the eye, but also works to fight infection, providing important nourishment that is vital for clear vision. Increased risk of infection and serious visual impairment may result in cases where a severe dry eye condition has gone untreated over time. Reduced tear production over a long period of time increases the risk of permanent damage and scarring to the front of the eye. Doctors can quantitatively monitor disease severity and can intervene early in the disease process. This will help Doctors custom prescribe therapies that work for each individual. If you suffer from dry eye, talk to your eye care professional about treatment options. Only a doctor can determine if you have Dry Eye Disease. Your Doctor will ask you to describe your dry eye symptoms and the impact that they have on your daily life. The doctor may perform one or more tests to assess your condition. The symptoms of dry eye – including dryness, scratchiness and burning – can usually be successfully managed. 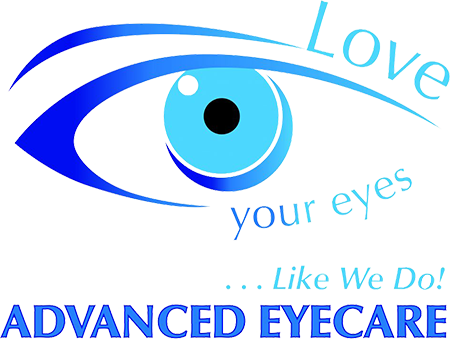 If you suffer from dry eyes, call Innovision Advanced Eyecare Associates today for a consultation with Dr. David Zehnder in our Delaware, Ohio, office!